Ăn Viet literally means ‘eat Viet’. An apt name for the casual dining restaurant which opened at The Gardens Mall, Mid Valley City in November 2015. The second outlet at Sunway Pyramid opened in January this year with a 3rd coming to Penang by year end. 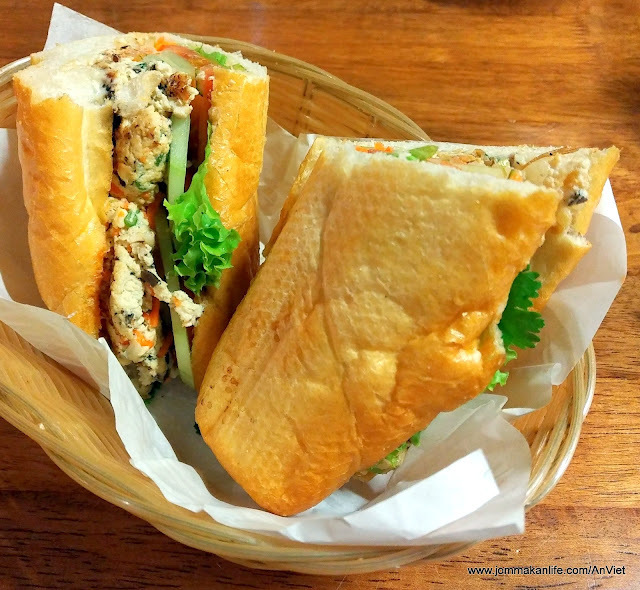 It is one of the regular haunts for us who never tire of eating Ăn Viet’s delicious Vietnamese fare. 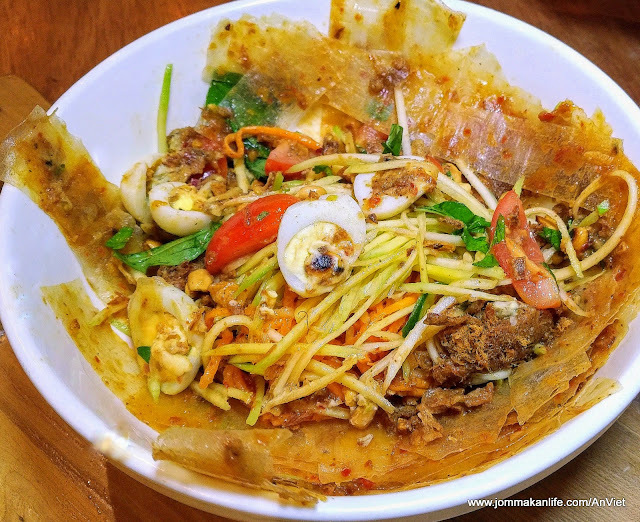 I like the resto's concept of letting you decide how much noodles or rice which minimises food wastage – a fabulous and socially conscious idea in view of reports stating 1/3 of overall food produced goes to waste when half the world’s poorest population goes hungry. Fitness buffs and salad lovers will like this DIY appetiser. 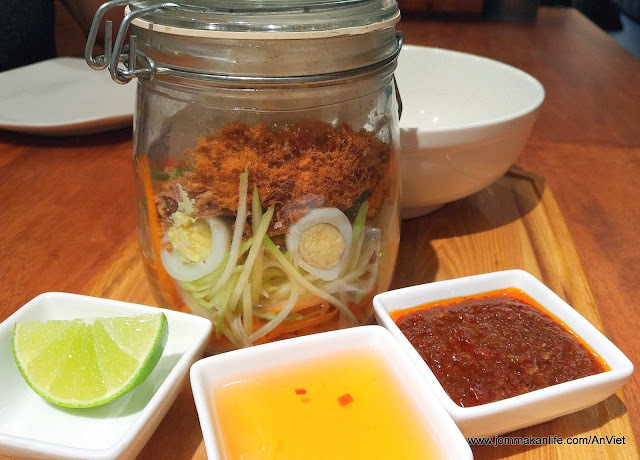 Presented in a clasped mason jar, you are supposed to tip in the special house sauces and freshly squeezed lime juice into the shredded mango, cucumber, hardboiled quail egg halves and rice paper strips. Close the lid and give the jar a good shake - think of it as strength training (LOL) - to mix everything up then pour into the bowl provided. Right off the bat, the zingy and robust flavours and varied textures should raise the likeability-meter way up. 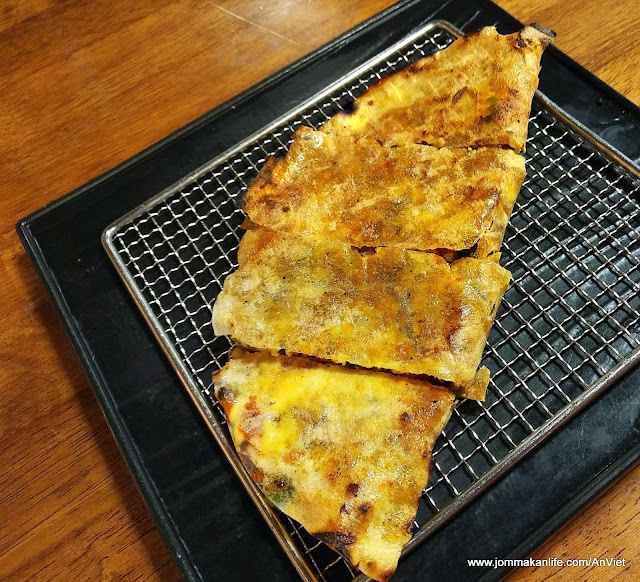 Crispy rice paper pancake filled with minced pork, egg and dried shrimp char-grilled to toasty perfection. 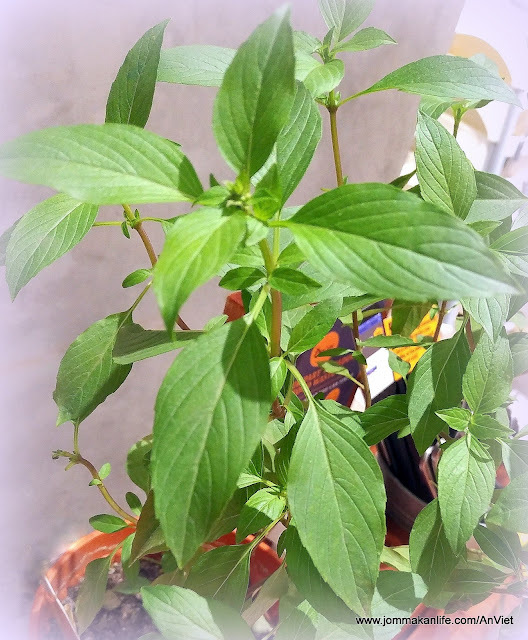 Light yet tasty, it can be eaten on its own or Ăn Viet's house fish sauce and chilli dip. A unique speciality that always elicits amazed gasps when the golden brown ball arrived. Tear into the hollow ball and relish pieces of it topped with forkfuls of the accompanying chicken salad. Sublime! 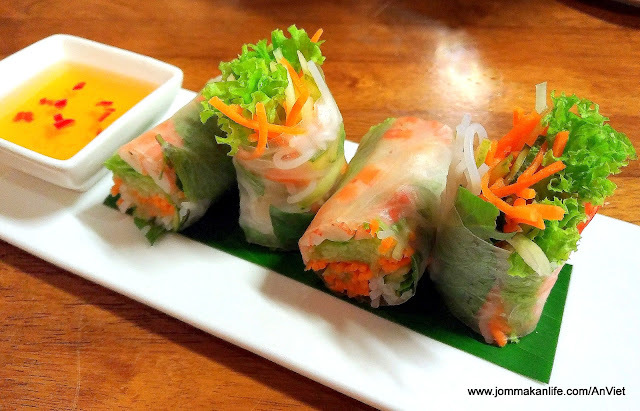 Often we avoid ordering this Vietnamese appetiser as most eateries tend to skimp on the minced prawn. Not so with Ăn Viet. 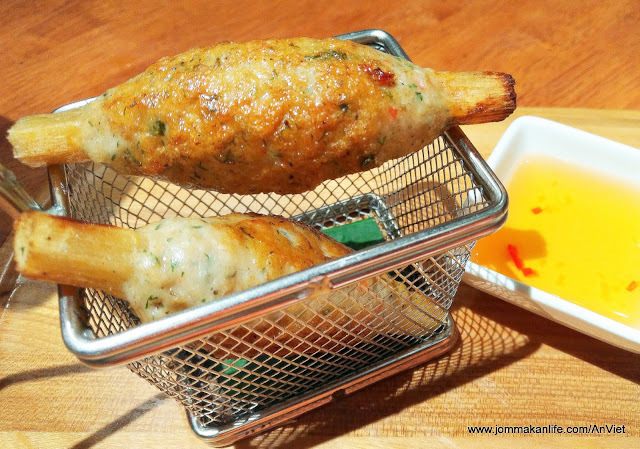 We found the bouncy QQ prawn filling wrapped around juicy sugarcane sticks scrumptiously addictive, leaving us wanting more. 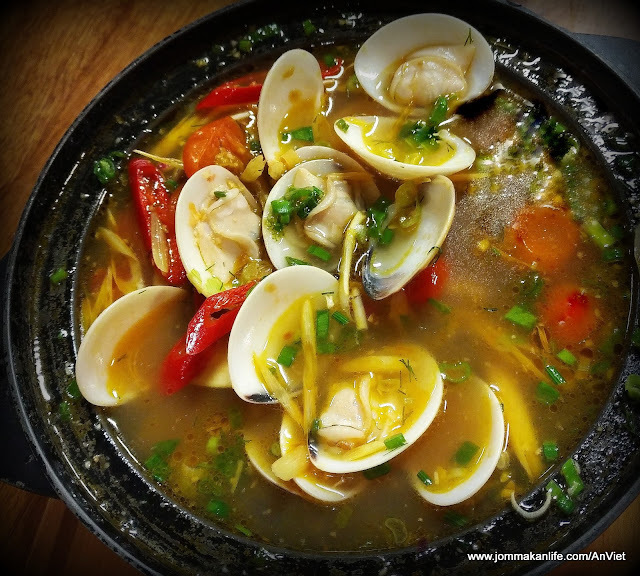 Perfumed with dill, this sweet and subtly tangy broth is made using fresh coconut water and lemongrass in addition to plump hard shell clams. Soups up the sweet spot for us. Light, satisfying and packed with shredded fresh veggies, herbs and sliced tiger prawns, these mildly chewy rolls are always on-point. The diping sauce of fish sauce, minced garlic and chilli is lighter compared to southern Vietnamese hoisin sauce dip but it's sufficient to enhance the rolls’ fresh and delicate nuances. 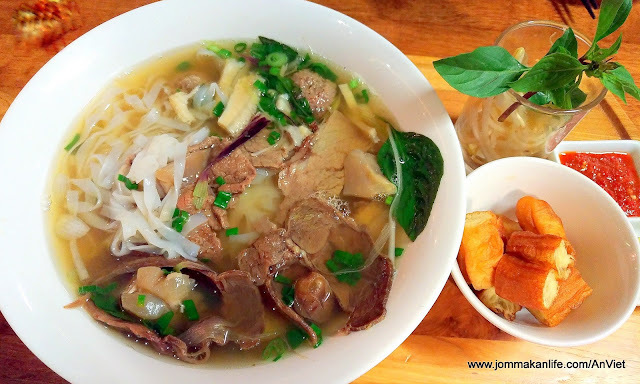 Hailed as the national dish of Vietnam, Ăn Viet takes its pho seriously. 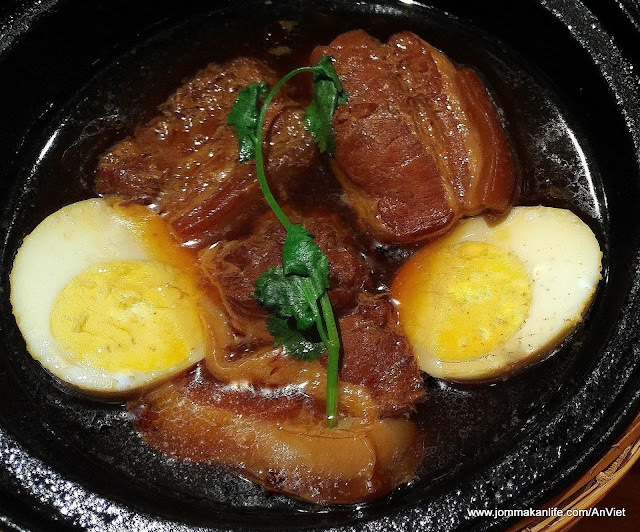 The scrumptious broth is simmered with beef bones and various secret ingredients for 12 hours. The comes in your choice of noodle portions, from as little as 80g to the maximum 200g serving. A myriad of textural dimensions comes to the fore from the beef slices, tendon and house-made beef balls handcrafted using pure beef mince and devoid of additives. To soak up the flavourful broth, some fried yu tiao (dough fritters) are provided on the side. Just add beansprouts and fresh basil (diners at the Sunway Pyramid outlet can pluck fresh organic basil from pots of the plant on every table), squeeze some lime juice over the noodles and add the house sriracha chilli sauce to taste and presto! You'd be slurping up every strand of the delectable noodles. 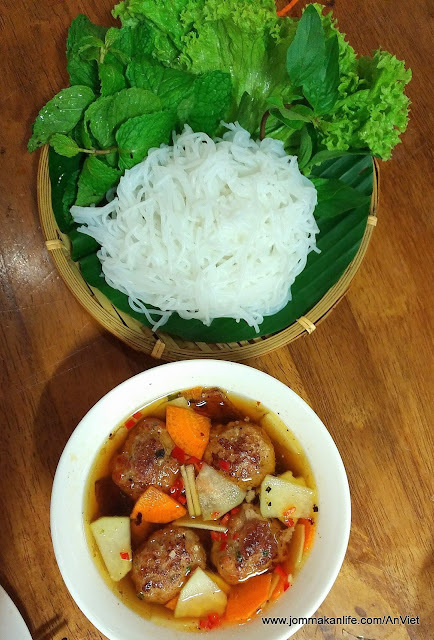 Made famous dish by Cha Ca La Vong restaurant in Hanoi, this popular speciality is Ăn Viet's own take of it. 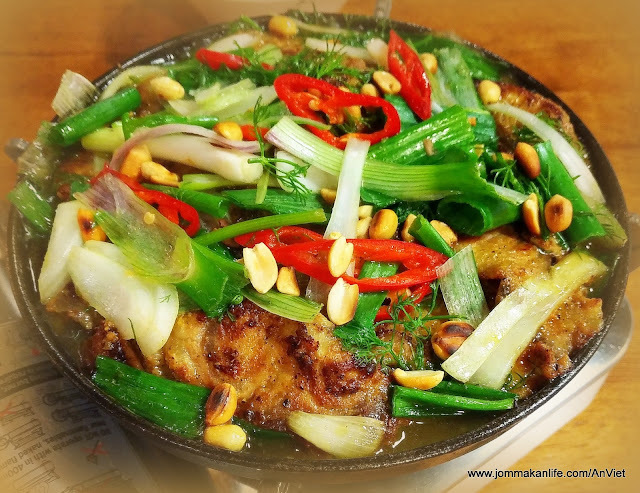 Perfumed by the herbs and sweetened by caramelised onion, the saucy fish pieces goes well with coarse Vietnamese vermicelli. To enjoy this dish, tear lettuce into your bowl. 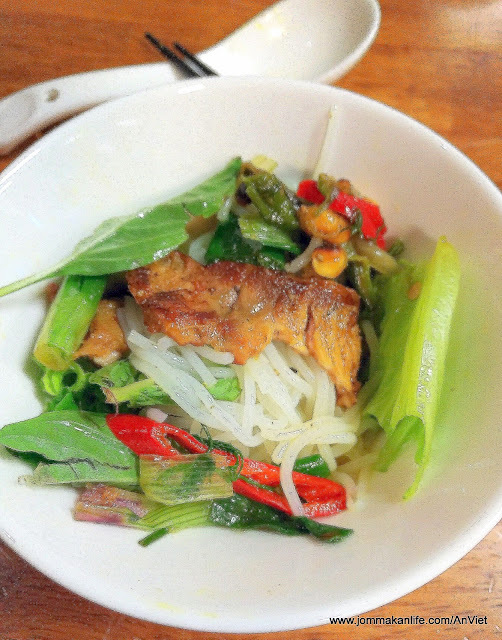 Add vermicelli, fish, peanuts and herbs on top. Mix everything up and eat it hot with nuoc cham (fish sauce dip) and mam tom (fermented shrimp sauce). 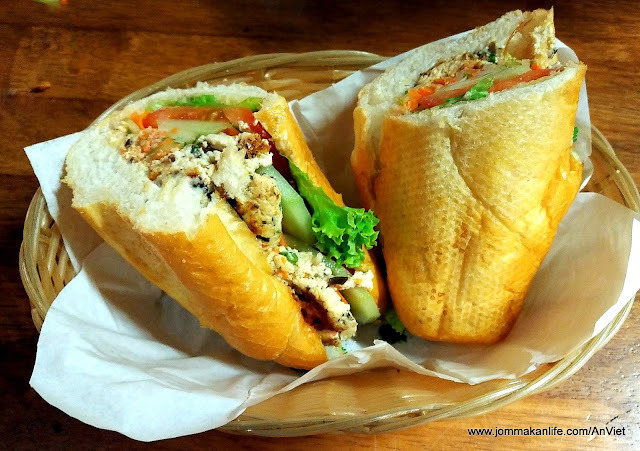 A typical Vietnamese dish fit for former US President Barack Obama and celeb chef Anthony Bourdain. 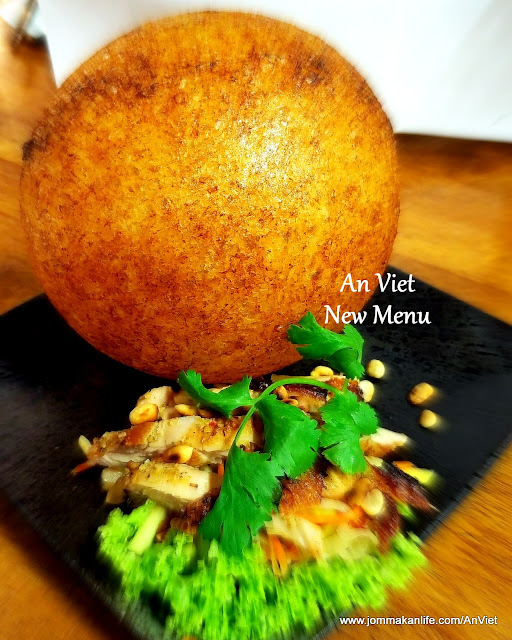 Ăn Viet’s version includes slices of belly pork, minced pork balls and lean pork for extra textural interest. Again the right way to eat this is to tear lettuce into bite-size pieces, add them to the dipping sauce of basil and mint then dip the vermicelli into it. Pair each mouthful with a piece of pork for an unbeatable gastronomic experience. A wholesome vegetarian offering that even meat eaters will like. Sink your teeth into this ultra-crispy, airy-light baguette stuffed with toasty beancurd and mushroom pate. Pickles, fresh vegetables, coriander and Sriracha sauce bestow layers of tantalising accents, loading this sandwich with winsome meat-free goodness. 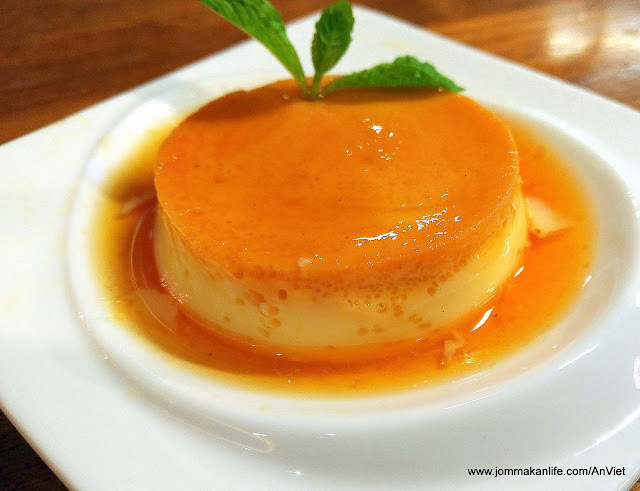 A legacy from the French colonial days, this smooth, dainty pudding is richly satisfying with a deep caramelised finish. Complement with hot, refillable Vietnamese Artichoke Tea (RM6.90 for a cup, RM9.90 for a pot) or the potent Vietnamese Drip Coffee with Egg (RM9.90). Want a post-meal caffeine buzz? 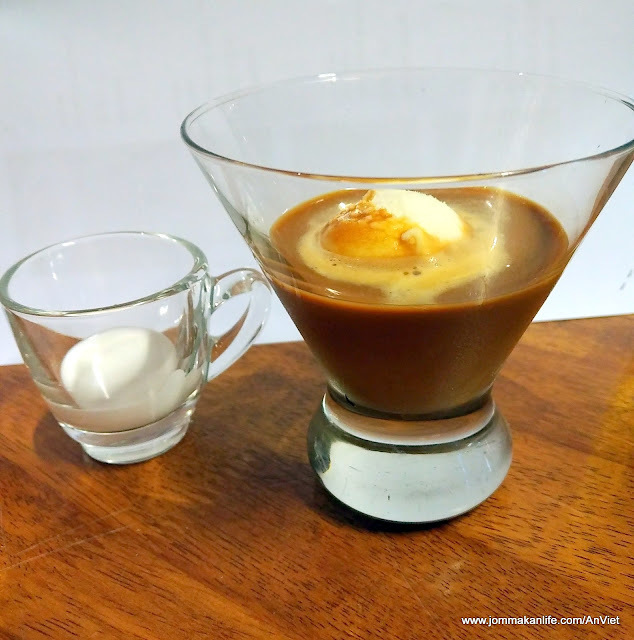 Look no further than the indulgent treat of condensed milk ice cream with Vietnamese coffee and some coconut milk. Bitter sweet takes on pleasantly new albeit agreeable meaning when you sip this at your own sweet time. The above dishes are but a fraction of what's available at this convivial restaurant. 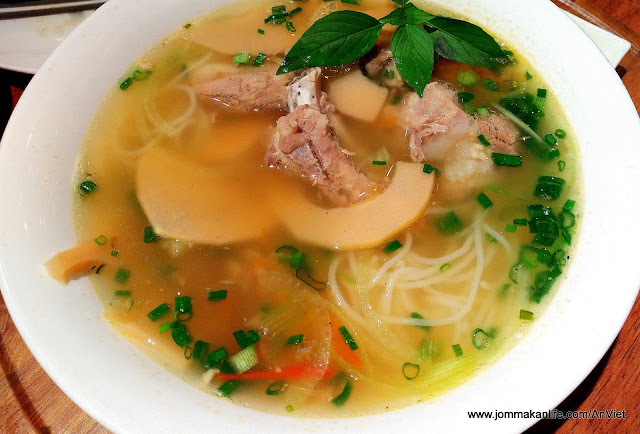 Keep your eyes and tastebuds peeled for other homely fare such as Lon Kho Nuoc Dua - Braised Pork Belly in Coconut Juice (RM17.90 a la carte), Bun Ga - Grilled Lemongrass Chicken with Vermicelli (RM16.90 a la carte) and Bun Suon - Vietnamese Vermicelli Soup with Pork Ribs & Bamboo Shoot (RM19.90 a la carte) among others. 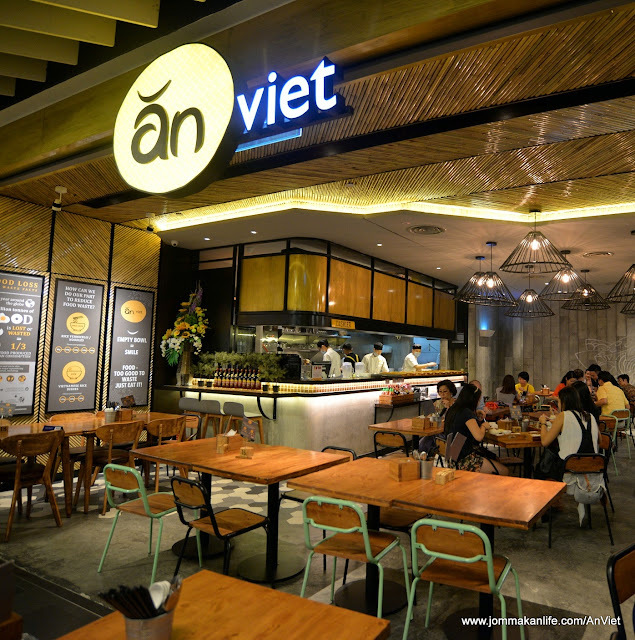 Ăn Viet’s Kids Menu also present viable options for family dining. 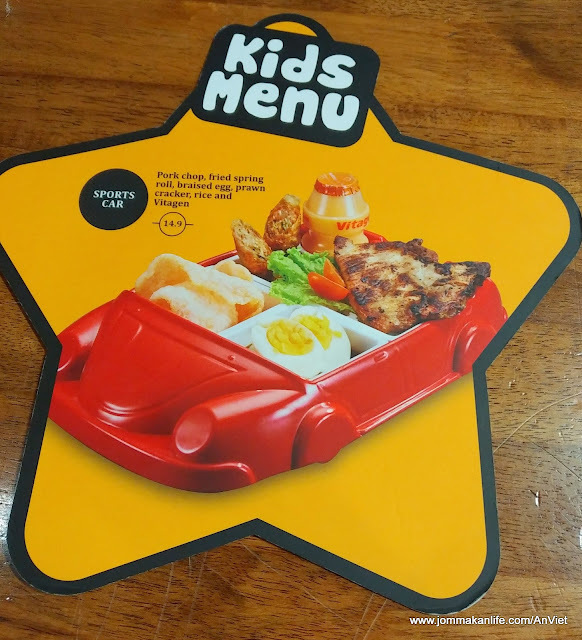 Thoughtfully and attractively served in whimsical trays, no kid can resist trying the cook-to-order, children-friendly food options here.